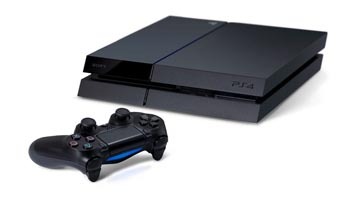 There will be no shortage of viewing option on PS4. You may buying a next-gen console for the games, but let's face it: Most of us use it for other stuff too. For those of you wondering about the PS4's access to the wider world of media, Sony announced the set of third-party entertainment apps that will be available on PS4 when it hits stores November 15. The list of 11 apps is made up entirely of video streaming services. You probably won't be surprised to find that Netflix, Hulu and Amazon Instant will all be available, along with a variety of niche services like NBA Game Time and anime service Crunchyroll. Sony will also have its own Unlimited Music and Unlimited Video services ready for launch. The announcement comes shortly after Sony revealed the PS4 would not support audio CDs, mp3 files or streaming via DLNA media servers, limiting users' ability to play their personal content through the device. Backlash from the announcement prompted Microsoft to confirm that Xbox One will support DLNA and CD playback.